This is a quick one, just an appendix to yesterday's article about ColdFusion 10 instance clustering. 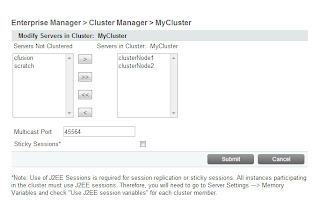 You might recall I was having problems getting sessions working, and that lead on to a discussion about how to get session replication working on a CF10 cluster. Well I think I have spotted a problem. What's missing on CF10? 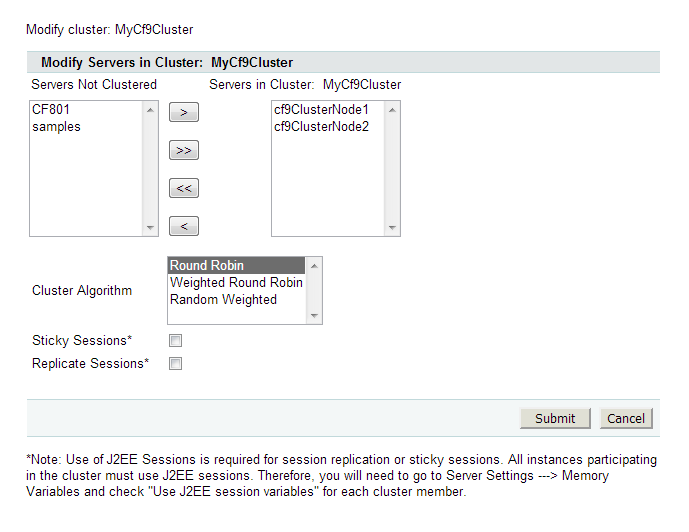 Well: the option to enable session replication. So that's probably why neither Dave Ferguson nor I could find it. So that sux. In the comments we discuss "the bug", but I never thought to link to it anywhere. 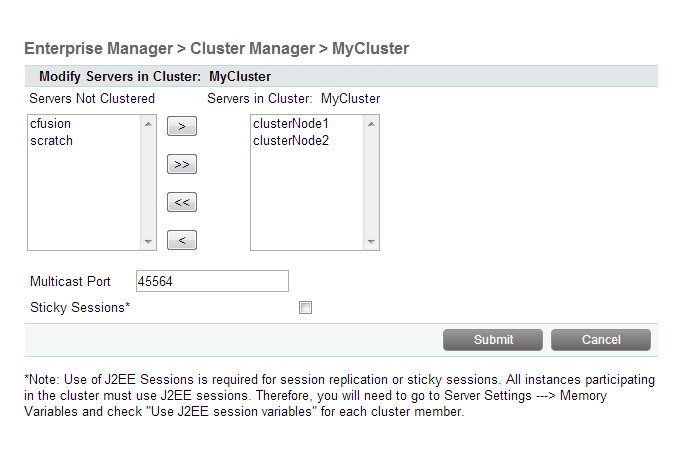 It's this one: "No setting in cluster admin to enable session replication (3361502)". With neither sticky sessions nor session replication enabled, I saw the same problem as I did on the CF10 cluster: I was not expecting each node to share the same session (obviously), but I did expect them to maintain their own sessions, which they did not. Every hit to a given node restarted the session. I consider this a bug, unless someone can explain why it's not. 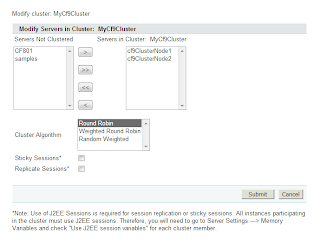 However when I configured the cluster for session replication on the ColdFusion 9 cluster, the sessions did indeed replicate correctly: I had the same session on both nodes. So that's cool for CF9... it doesn't help me on CF10 though. I'll update this article if I find anything useful.